And Chuck, incumbent Republican Congressman Greg Gianforte is sponsoring two bills that would, if passed, release nearly 700,000 acres of wilderness study areas in Montana. And Gianforte has held no public hearings, and plans none, but says he has the support of local county commissioners. These are controversial bills Chuck, but Gianforte seems to be gambling he's making the right political bet to go this route. Chuck Johnson: Yes, and very controversial. And also very controversial not to have public hearings. You know, it's one thing to have meetings with county commissioners, but it's another to meet with people that actually use these lands -- the hikers and the backpackers and backcountry skiers and the like. And I don't quite understand why you wouldn't have hearings on it. He's probably going to get these passed given the makeup of the current Congress and President Trump, but why not have hearings. There may be areas where the bill may be modified. I just think it's risky on his part not to have hearings. SM: He's likely got the support, Chuck, of his base on this issue. But are independents the question mark on wilderness in Montana? CJ: Well, I know that polls on public land issues released by Colorado College every year show a lot of public support for public land. I don't know the extent it extends to wilderness, so I can't answer that, but I think there is a lot of support for wilderness whether it's majority or not, I don't know. But it's not going to hurt him with his Republican base at all. Independents it could. It certainly will hurt him with Democrats, But he didn't have their support anyway. SM: The other incumbent up for re-election, Chuck, is Senator Jon Tester of course, and he voted this week to repeal some banking regulations that he believes hurt Montana's community banks and credit unions. But that vote is one that many Democrats like Elizabeth Warren and Bernie Sanders believe will allow big banks once again to make some sketchy deals like those that led to the 2008 recession. So this is a vote that many in Tester's base are very unhappy about. CJ: That's true. And it's a very controversial bill that does help small community banks and credit unions but it also definitely relaxes or eases the regulations on some of the largest banks in the country. And the critics are saying this could lead to another financial meltdown if we have another banking problem like we had in 2008. Tester though argues that it's critical to help small banks in Montana and credit unions. About 23 have closed since the Dodd-Frank Act passed. And I don't know, it's certainly drawing plenty of controversy, but where are the progressive or populist left going to turn to vote if they don't vote for Jon Tester? I mean they really have no choice. I'm sure this probably gives them some more credence with Republican voters who probably support the bill or at least a lot of the business Republicans. As for independents, it could hurt him with some of them, but maybe not. SM: Rob, a new poll by Axios Survey Monkey shows Senator Tester at 42 percent going head to head with an unnamed Republican, but whoever is challenging him, showing them 13 points ahead of Senator Tester, and President Trump at 58 percent approval in Montana. Those are not encouraging numbers on the face of it for Tester. Rob Saldin: Yeah no, not at all, if that's accurate. You know, one of the things that stood out to me about the poll is that if you look at just Tester's approval rating, it's at 52 percent. And if you would've asked me a few days ago I would have said, you know, that's a decent number for Tester, puts him in a pretty good position to win in the fall. The curious thing is that there's a drop-off between 52 percent who say they approve of the job he's doing to 42 percent who say they will actually vote for him. That is a little unusual. Usually in an election year the approval number tracks pretty well the percent of people who will actually vote for him. So, I'm not entirely sure what to make of the 10 point gap. It could be just that you have a lot of people in Montana who are saying, "well, OK, I like Tester, but at the end of the day I'd rather have a Republican in that seat." So maybe that's part of what's going on. Maybe some issues of question wording. Some people don't think that online polls are reliable. RS: Yeah, this was an online poll, not your traditional phone poll. And so it's also possible, of course, that it's just a bad sample and the numbers are a little off. SM: It's for sure that those numbers will change once Senator Tester's Republican opponent is known after the primary. RS: Yeah, exactly. And that's the other big thing to keep in mind with this poll, because the Republicans haven't picked their candidate yet this poll just lists "Republican." So it's Jon Tester verse generic Republican. And when that's your choice, it allows people to kind of project what they want on to that generic Republican. Of course, generic Republican isn't going to appear on the November ballot, it's going to be a real person with strengths but also weaknesses that will be criticized by Democrats. So you know, the point is, your generic Republican or your generic Democrat usually outperforms a real live person. SM: How much do you think Senator Tester will be running against President Trump? Because the president's high approval ratings in Montana — way above the national average — don't bode well for any Democrat trying to either retain or gain a seat in Congress. RS: Right. Well, I mean, President Trump isn't going to appear on the ballot this November. And so I think for Tester what we're likely to see is him and the Democrats try to focus all their attention, all their fire on the Republican who actually comes out of this primary and try to keep Trump out of it. It's a fine line for Tester to walk , and we've actually been seeing him try to do that now for over a year. And so I expect that we'll continue to see more of that and for them to try to make it as much about the Republican candidate who comes out of the primary as they can. SM: Chuck, one of the Republicans who hopes to be Tester's opponent, Troy Downing, was endorsed this week by former Vice President Dan Quayle. I'm not sure how much, if any, boost that gives Mr. Downing, but it was something he definitely wanted to brag about. 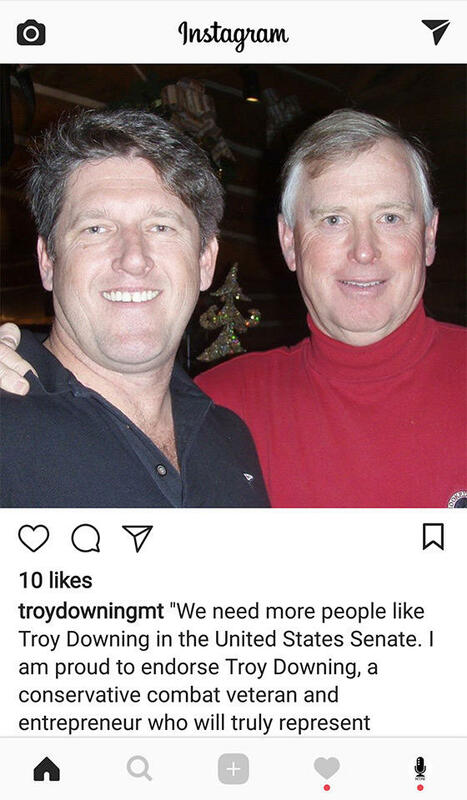 A screen capture of an Instagram post by Republican Troy Downing from March 8, 2018, shows Downing, a candidate for U.S. Senate, and former Vice-president Dan Quayle together. Quayle endorsed Downing in the Senate race this week. CJ: Well it's important to point out that they're neighbors in the subdivision known as The Yellowstone Club further up the hill from Big Sky. And it's, of course, a pretty posh subdivision where there are especially high fees to join, and you know, million dollar houses. So, I don't know what that means, but they're probably acquaintances from up there. "Do I think universal coverage for every human being in our state and our nation. Absolutely. Do I think we need to do it cost effectively so that it doesn't bankrupt our country. Absolutely. Do I think that we need to work on that immediately and it's urgent. Absolutely. Will I do that? Yes. Will I promise you single payer? No.". SM: And Kier says it's not feasible to expect Medicare for all to pass Congress or be signed into law by Trump, so he doesn't want to make a promise that he can't keep. CJ: Kier is — and to a lesser extent his Democratic opponents — are doing more of a universal health care theme. And you know, I don't know how plausible that is as long as you have Republicans controlling both houses of Congress and President Trump still in office, but he's certainly staking that position out. And you know, I think it's appealing to people to hear someone say I won't make promises I can't keep. The thing about John Heenan's support for single payer or Medicare for all is it's a position that will help him win the Democratic primary. What it will do to him if he wins the nomination and faces Greg Gianforte in the general election remains to be seen, because of course this would cost a lot of money. Congress's budget analysts office found the cost of Bernie Sanders' similar proposal when he was running for president in 2016. And of course it's a skyrocketing cost, and I think if John Heenan gets the nomination we'll be hearing those numbers over again. RS: Well, just to put it slightly differently, I suspect Greg Gianforte would be thrilled to run against someone who supports single payer, because there is a different term for single payer, and that is "socialized medicine." That is something that Republicans have been running against since the Truman administration. There is a well-defined playbook here. It's worked almost every time. And so, I think it is a potential liability in the general election, no doubt about it. SM: And Chuck, actually this kind of illustrates the quandary for Democrats, right? They have to run on a fairly left-of-center platform to win the primary and then move back to the center for the general if they want to win the general election. You think that's fair to say Rob and Chuck? CJ: Absolutely. And actually I think Republicans have to do a bit of the same, but maybe not as big of a two step as the Democrats do. RS: Yeah it's the perennial challenge, right? What it takes to win the nomination sometimes runs counter to what it takes to win in the general. SM: Rob, it's only three months until the primary, and the candidates' requests for money are filling up my e-mail inbox and everybody else's as well, and sounding ever more urgent. RS: That's right. I think all these e-mails are written by the same person. They all have the same level of, kind of, paranoia and anxiety, worry, concern about meeting their deadline. It always comes down to the last minute. Just a few more donations from your zipcode to meet our goal. So it's that time of year. SM: And the goal is moving all the time, of course. 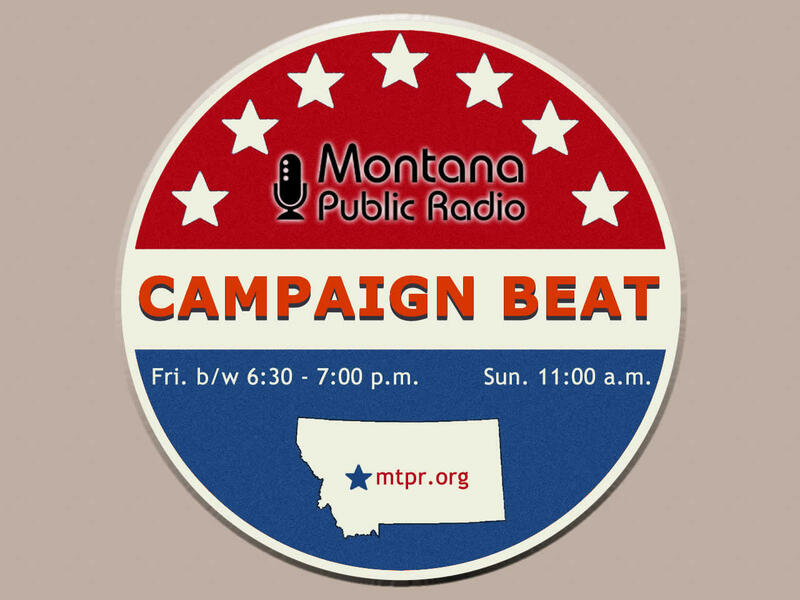 Well, you've been listening to "Campaign Beat" our weekly political analysis program. 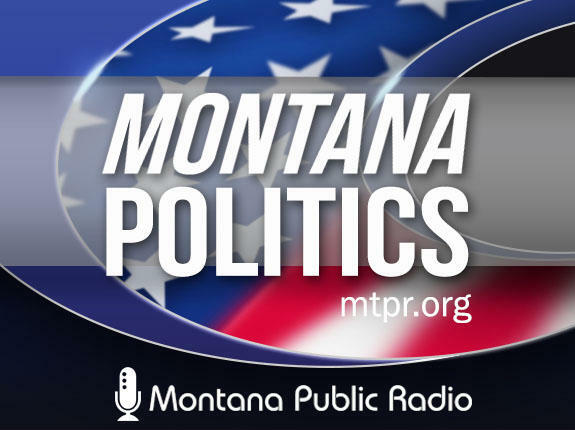 I'm Sally Mauk and have been speaking with University of Montana Political Science Professor Rob Saldin and veteran Capitol reporter Chuck Johnson. And I'll talk to you next week guys, thanks. 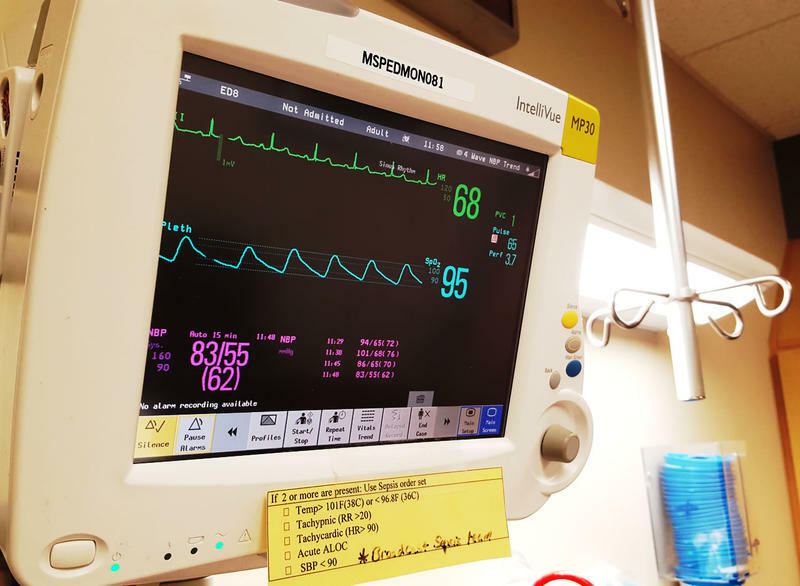 The hundreds of millions of federal tax dollars that Medicaid expansion is bringing to Montana have added thousands of jobs here and significantly boosted the state’s economy. It’s enough of a boost to pay for Montana’s share of the jointly-funded health program. That’s according to a new report by Economist Bryce Ward with the UM’s Bureau of Business and Economic Research. He summarized it for a legislative oversight committee Thursday. Democratic Congressional candidate Grant Kier stumped in the Flathead Valley this week. 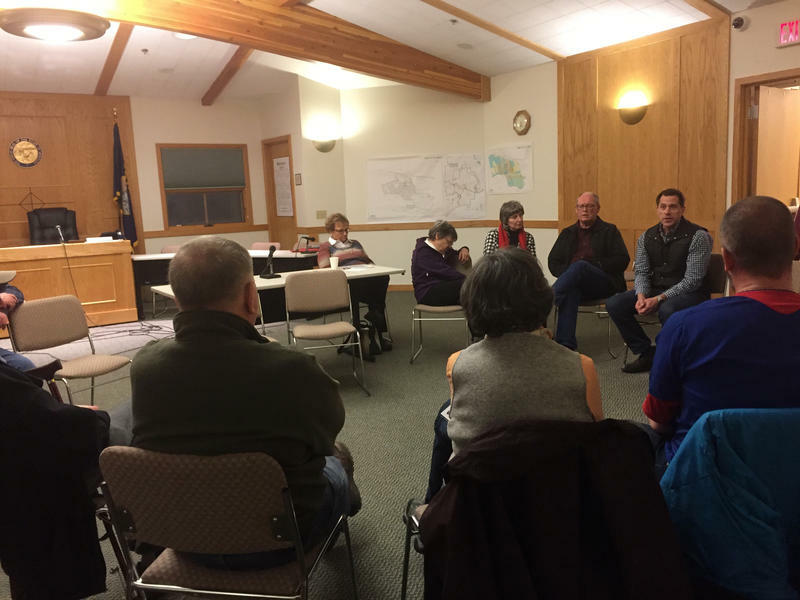 Kier had beers with 35 members of the Flathead Big Sky Rising advocacy group in Whitefish Wednesday night, and hosted coffee for a half-dozen Flathead Democrats in Kalispell Thursday.